Ultimate™ Gluco-Gel™ es la mejor manera de obtener su dosis diaria de gelati, que contiene colágeno, un bloque de construcción principal de la matriz ósea, cartílagos, ligamentos, tendones y tejido conectivo. 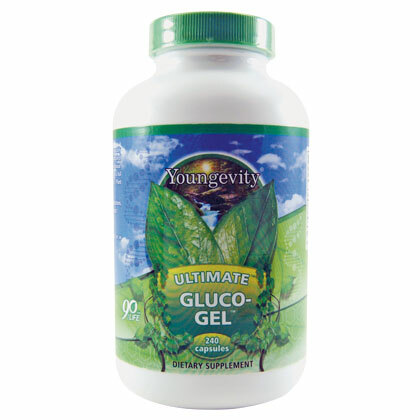 Ultimate Gluco-Gel is the best way to get your daily dose of gelati, which contains collagen, a main building block of bone matrix, cartilage, ligaments, tendons and connective tissue. For best results, we suggest you use this product as part of a complete nutritional program that also includes Ultimate Classic Plant Derived Minerals and Ultimate Daily.